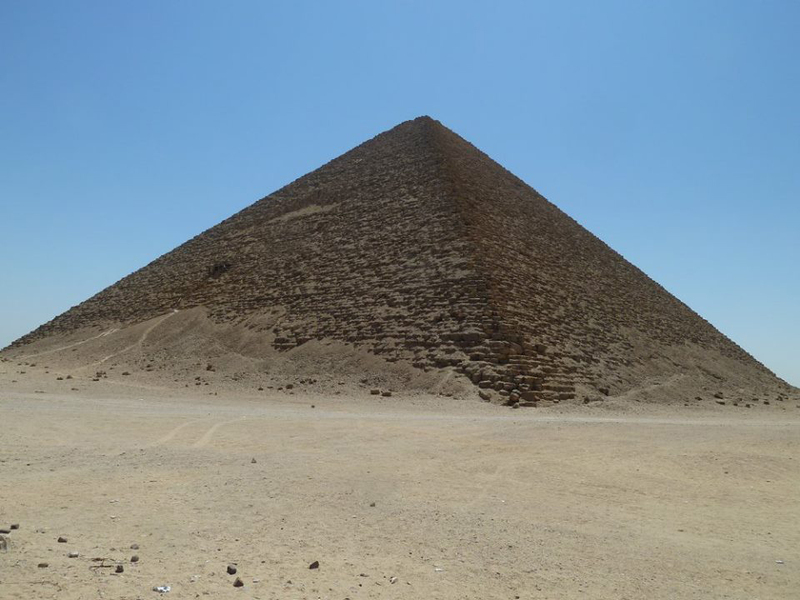 Let's know more about the great pyramid of Giza, its history and facts, how it was constructed and who initiated the process. Let's discover what is inside the great pyramid of Egypt, where its entrance, how it looks inside: its chambers, corridors and tombs. 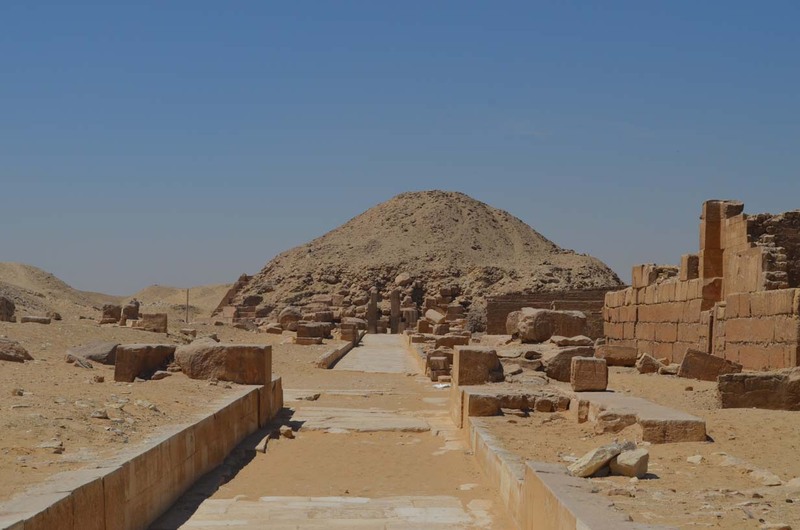 Visit the Great Pyramid of Cheops yourself and discover its mysteries. 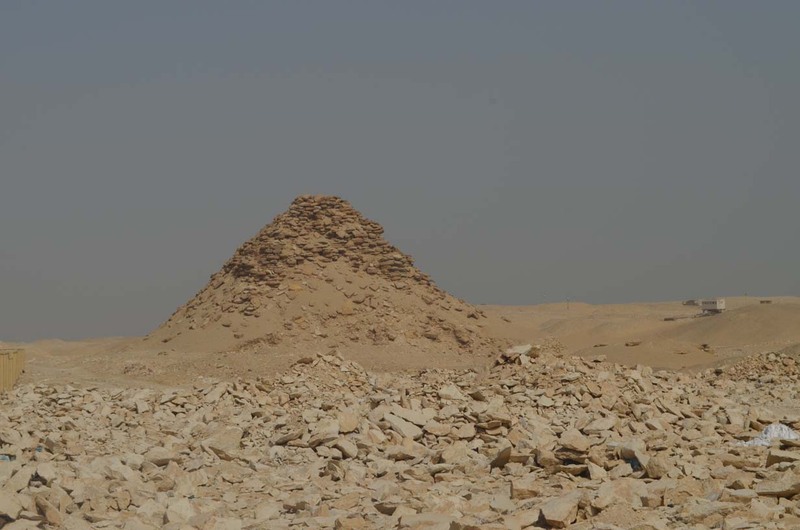 The great pyramid of Cheops. Sound & Light show at the pyramids. At the top of the Great Pyramid. Overview of the three pyramids of Giza. At the bottom of the Great Pyramid, Cairo. 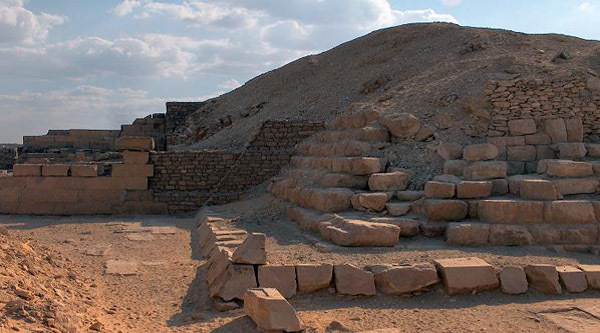 The great Pyramid is thought to have been built between 2589 - 2566 B.C. It would have taken over 2,300,000 blocks of stones with an average weight of 2.5 tones each. The total weight would have been 6,000,000 tones and a height of 140 meter ( 482 feet ). There are too many theories about how the Great Pyramid was built, Herodotus said that it would have taken 30 years and 100,000 slaves to have built it. Another theory is that it was built by peasants who were unable to work the land while the Nile flooded between July and November. They may have been paid with food for their labor. The flooded waters would have also aided in the moving of the casing stones. These stones were brought from Aswan and Tura and the water would have brought the stones right to the pyramid. 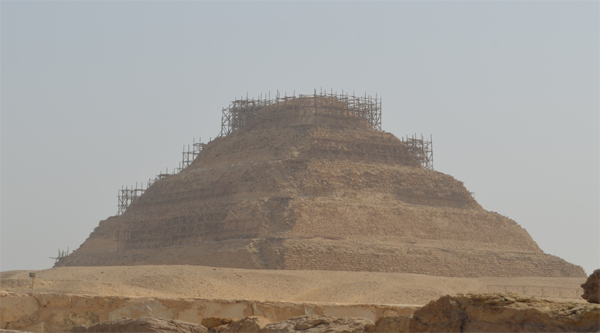 The encasing marble which covered the outside of the pyramid has eroded over time. 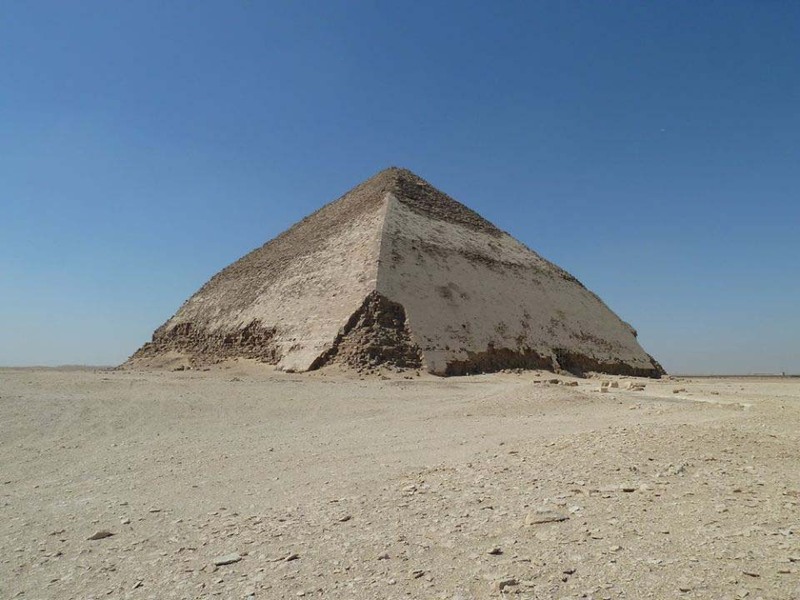 With this casing off, the pyramid lost 11meter ( 33 feet ) of all of its dimensions. The top platform is 10m square. The base of the pyramid is 754 feet and covers 13 acres. 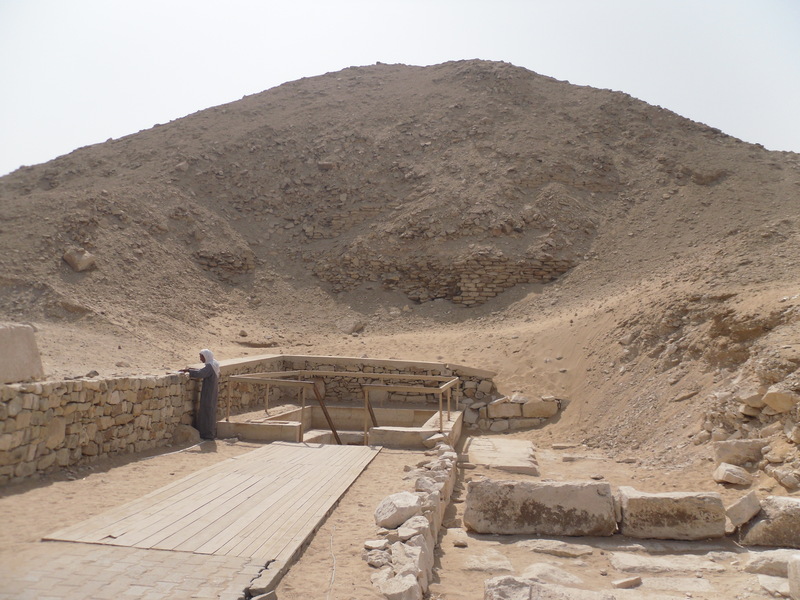 The original entrance to the pyramid was about 15m higher than the entrance that is used today. Apparently Caliph Al Mamum, who opened up the new passage, could not find the original opening. The new passageway leads straight across and joins in with the original passage, the descending passage. The descending passage led only to a subterranean chamber. This descending passage that leads down is set at a 26 degree angle that descends down 345 feet (105m) into the earth under the pyramid. The passageway is only 3'6" (1.1m) wide and 3'11" (1.2m) high. The chamber is closed to the public. The chamber itself is room that measures about 46' x 27'1" x 11'6" (14 x 8.3 x 3.5m). There is a passage that leads 100 feet horizontally to the western side. The purpose of the pit is uncertain. It is possible that it could have been the burial chamber, but after a change of plan, it was abandoned. The descending passage beyond where the new entrance meets it, is closed off by a steel door. The ascending passage rises at the same angle as the descending, 26 degrees. The ascending passage leads up into the pyramid. The ascending passage is the same dimensions as the descending, 3'6" (1.1m) wide and 3'11" (1.2m) high. It can be quite a difficult trek for some people. The passage leads on for 129 feet (39m). At the point where the ascending passage levels off, you can go two different ways. If you continue on horizontally, this passageway leads into the Queen's Chamber. The Queen's Chamber was never used. The floor in this room was never polished, it's still rough. Egyptologists believe that the chamber was brought to this point and then the builders changed their minds and moved to the King's Chamber. 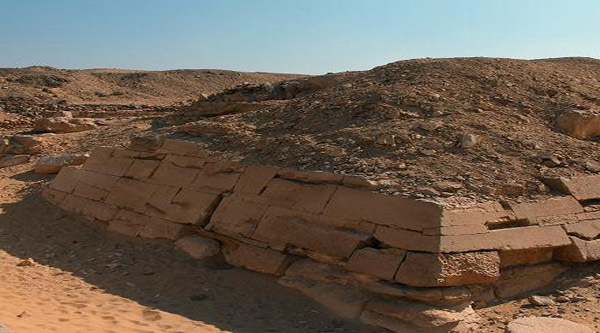 The possible explanation for the abandonment is that the sarcophagus built for Cheops was much too large for the narrow passageways that had already been built. There are ventilating shafts that are another mystery. These shafts are sealed at the extremities on both shafts. 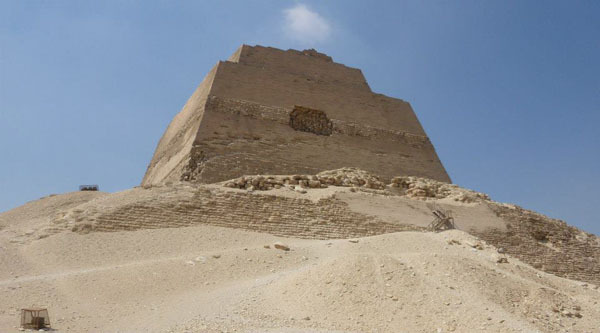 The shafts must have been made as the pyramid went up, since the builders most likely would not have continued to make the shafts after the decision to abandon the chamber. It is also thought that these are not actually ventilation shafts, but more of a religious significance. This could be related to the Ancient Egyptian's beliefs that the stars are inhabited by gods and souls of the dead. The second, and more spectacular, way at the leveling off point of the ascending passage, is to continue upwards to the Grand Gallery. The gallery is 157 feet (48m) long and 28 feet (8.5m) high and is at the same 26 degree angle as the passages. The roof of the gallery is corbelled. It is said that not a piece of paper or a needle can be inserted between the stones making up the roof. The gallery is only 62 inches (1.6m) wide at the bottom and is only 41 inches (1m) wide at the top of the incline. The Grand Gallery leads into the King's Chamber. The walls of the chamber are made of pink Aswan granite. Inside this chamber is the very large sarcophagus made of Aswan red granite, with no lid. The sarcophagus must have been placed inside the chamber as the pyramid was being built. It is much too large to have been moved in afterwards, as was the usual custom of that time. The King's Chamber is 34'4" x 17'2" x 19'1" high (5.2m x 10.8m x 5.8m high). This chamber also has the possible ventilation shafts as the Queen's Chamber. They are at the same angle as the shafts in the Queen's Chamber. The thought about the religious significance applies to these shafts as well. The main feature of the sky at night, was the Milky Way. The stars were thought to have been the Nile in the sky. The southern shaft from the King's Chamber points directly to where Orion's Belt would have been in the ancient sky. The southern shaft of the Queen's Chamber points to Syrius. The northern shaft of the King's Chamber points to the circumpolar stars. These stars never disappear in the sky. It is thought that these shafts were to help the spirit of the dead pharaoh find the important stars. Above this chamber is a series of five relieving chambers which are essential to support the weight of the stones above and to distribute the weight away from the burial chamber. The top chamber has a pointed roof made of limestone blocks. This is the most important of the relieving chambers. In these chambers, are found the only inscriptions in the whole pyramid.